Here is a cover 2 zone dog run by the Philadelphia Eagles earlier this season. The Eagles show a 1 high safety coverage with a safety rotated down over the #2 WR. 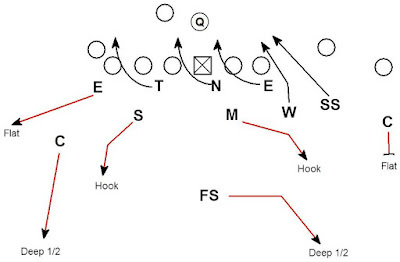 The expectation is the Eagles have to stay in a 1 high coverage unless they rotate a safety back deep. Instead Philly uses a corner in the role of a Deep 1/2 player. The protection has the numbers to pick up the pressure. The protection has two (OT & RB) vs. 2 (Will & SS) but loses both match ups. The OT is badly out athleted by the rushing DB. 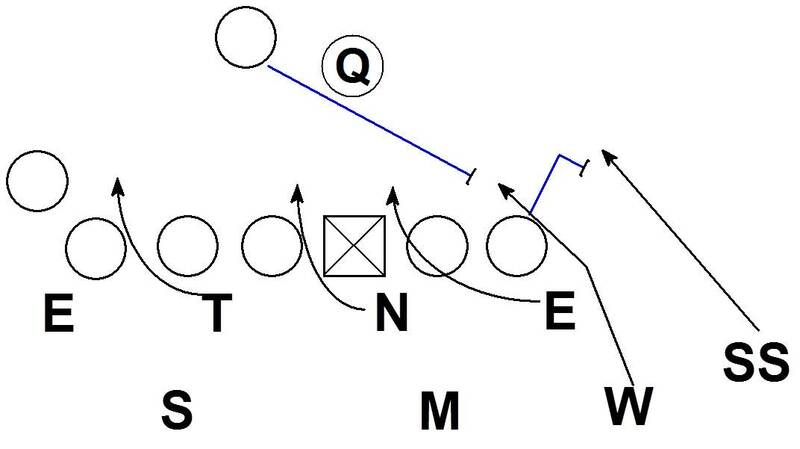 An OL forced to kick set out to a DB in open space is a match up the that favors the defense. On the inside the RB is forced to pick up the rushing LB. A LB on a full speed straight line run to the QB vs. a RB in pass protection is another match up that favors the defense. It is easy to say the offense should have simply had the OT sit for the Will and sent the RB wide to the SS. Both seem like better match ups for the offense. 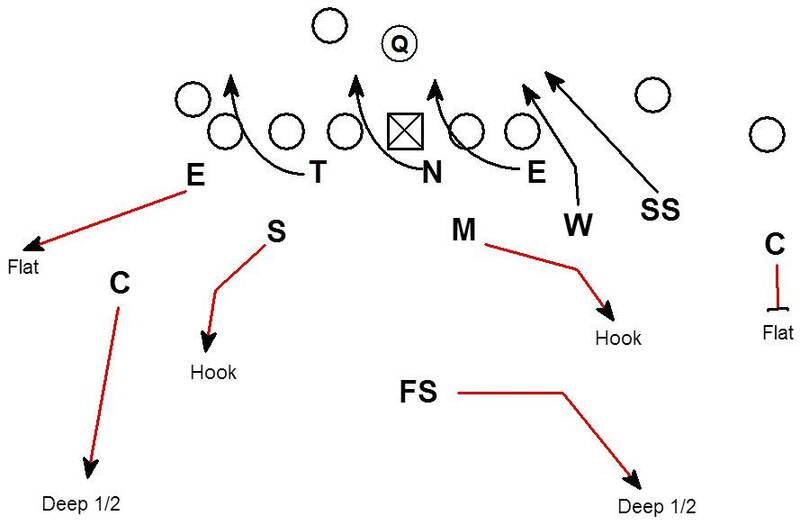 The issue is the RB is initially threatened by 2 rush threats as his dual read is the Mike & Will. If the Mike rushed the B gap the RB would have needed to block him. Likewise when the Will rushed B. It is very difficult to expect the RB to dual read the Mike to Will and adjust to the SS in the rush. Also A DB rotated over a slot receiver was not a likely rush threat. The usage of a DB in the rush and the alignment of the LB's in a 4-3 core created bad match ups for the protection. The coverage violates pre-snap expectations forcing the QB to make a post-snap read and buying time for the rushers to win. Good stuff from Eagles Defensive Coordinator Jim Schwartz.